That impressive Princess 64 is equipped with the renowned Caterpillar C18 ACERT 2 x 1150mhp, with a powerful generator ONAN 17.5kW / 50hz. Generously equipped, she comes also with the Yacht Controller. Extremely well maintained, she is ready to go for the new season!! 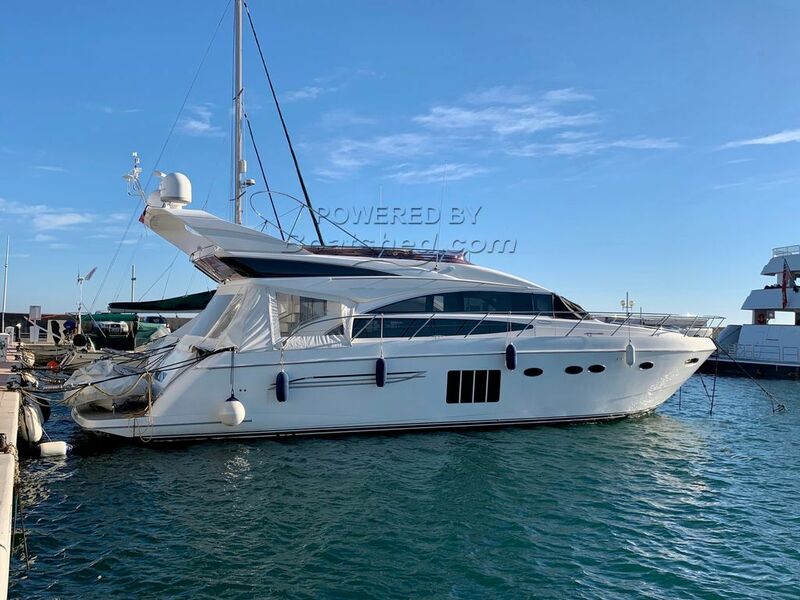 With 4 cabins + a crew one added to her spacious flybridge, you'll find in her the real cruising comfort with elegance. This Princess 64 has been personally photographed and viewed by Antoine Perrin Daragon of Boatshed Riviera. Click here for contact details.